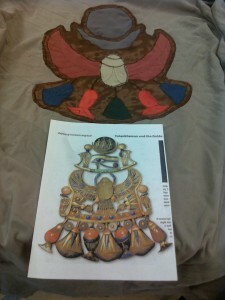 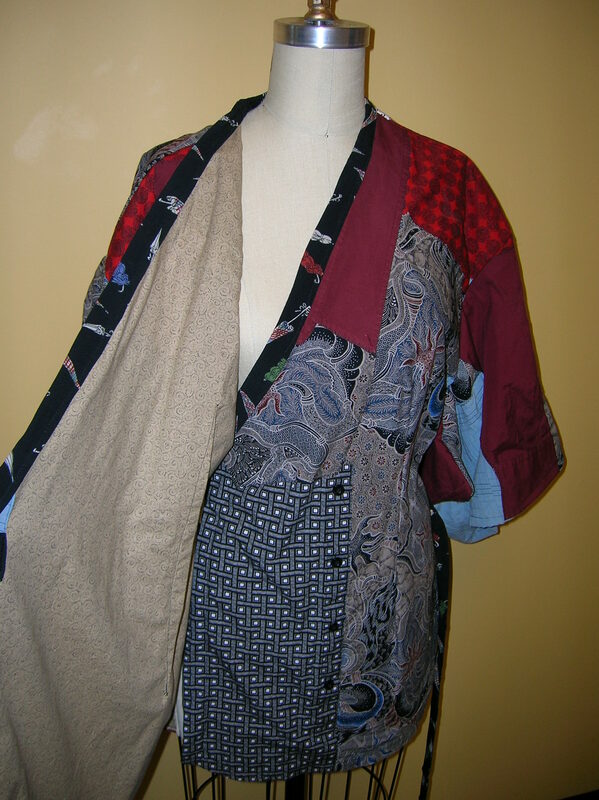 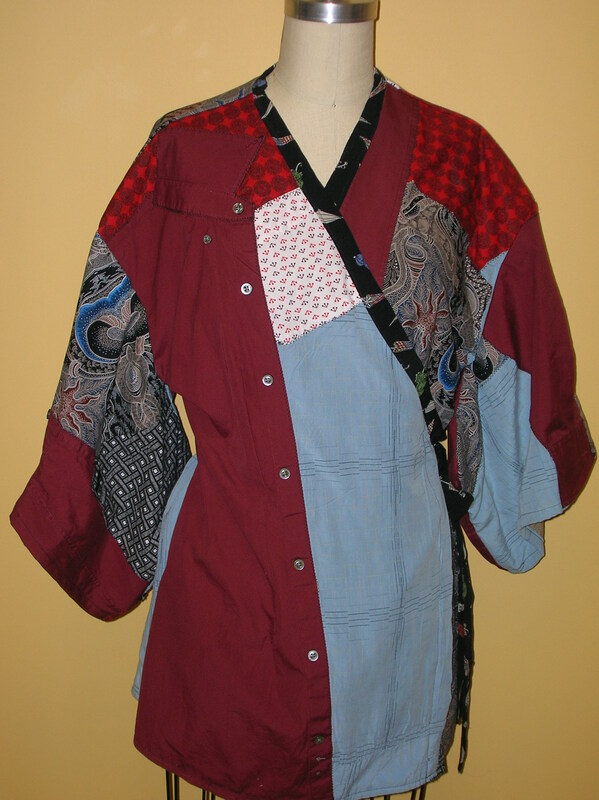 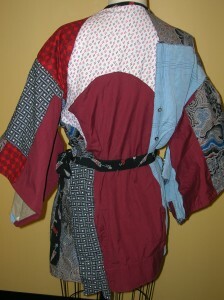 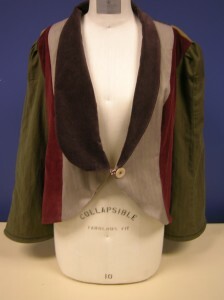 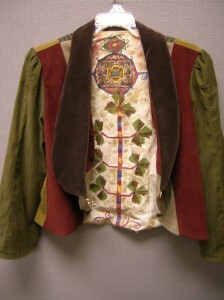 So, technically this is fashion, but with wearable art, costume and fashion intersect! 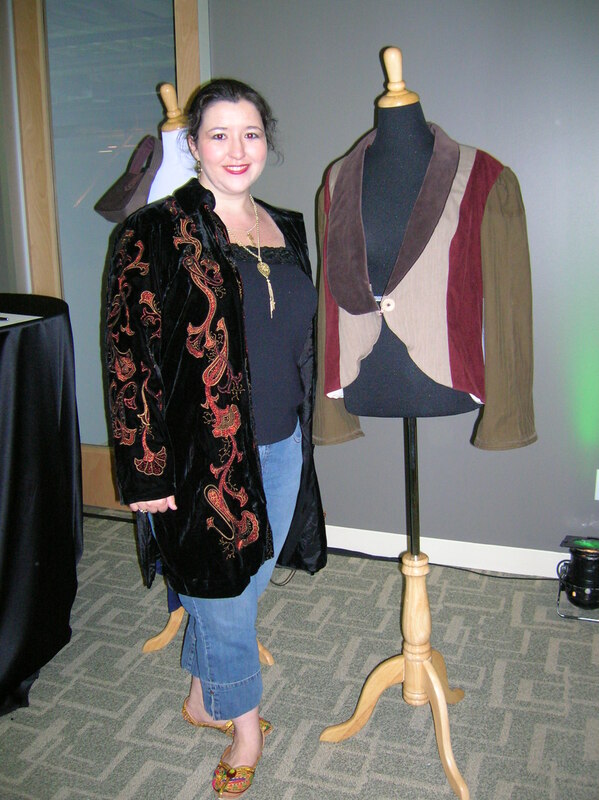 Primarily, I create these one-of-a-kind pieces for the Discarded to Divine “recycled couture” annual charity auction in San Francisco. But I have been known to be inspired by other things as well. 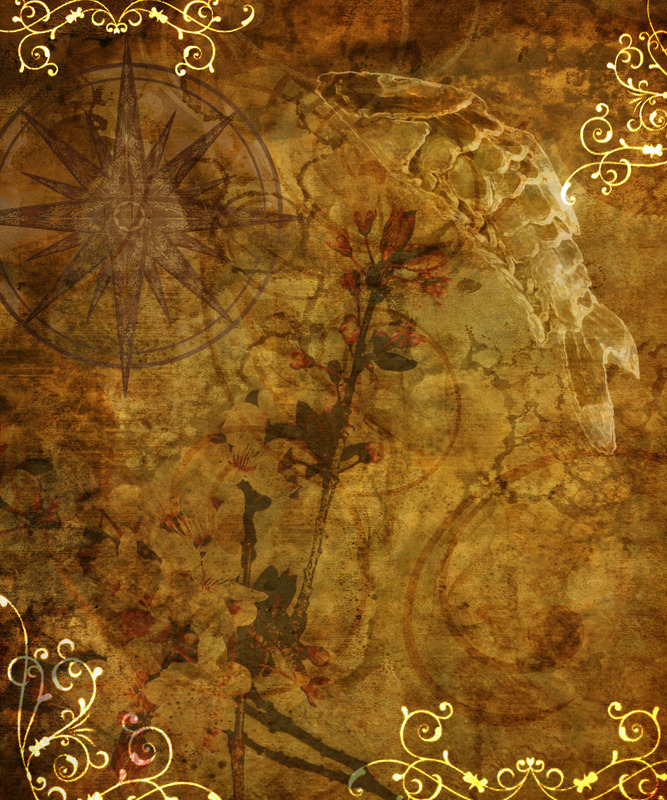 One of those other things was for Catherynne Valente’s Orphan’s Tales art project. Cat, herself, actually bought this jacket and I am truly honored that she did! 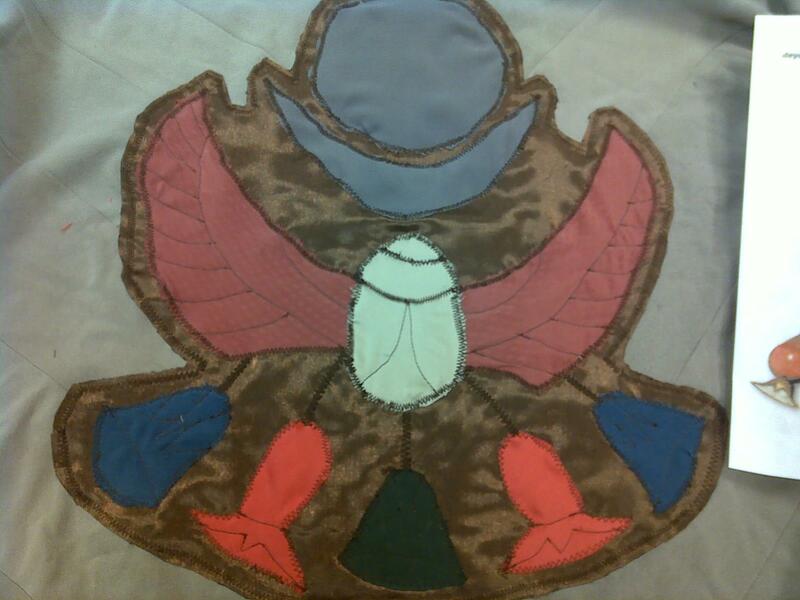 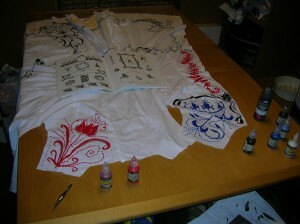 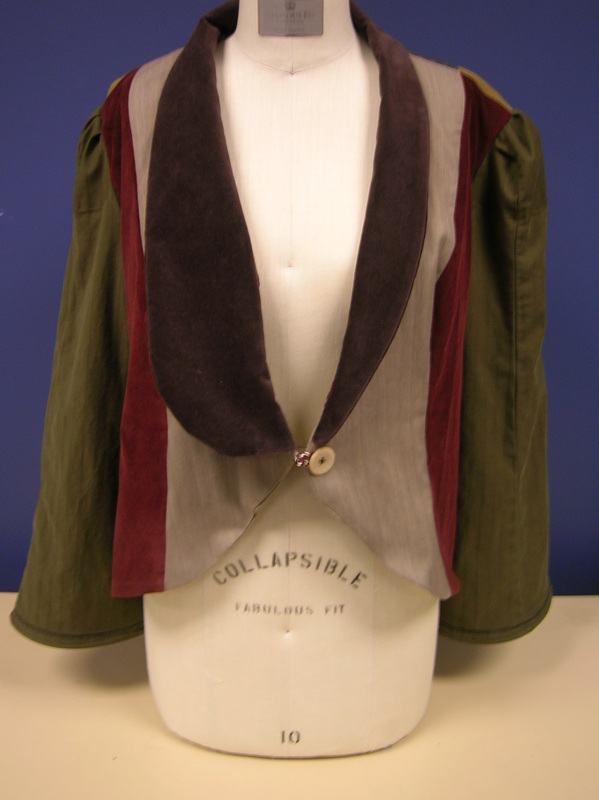 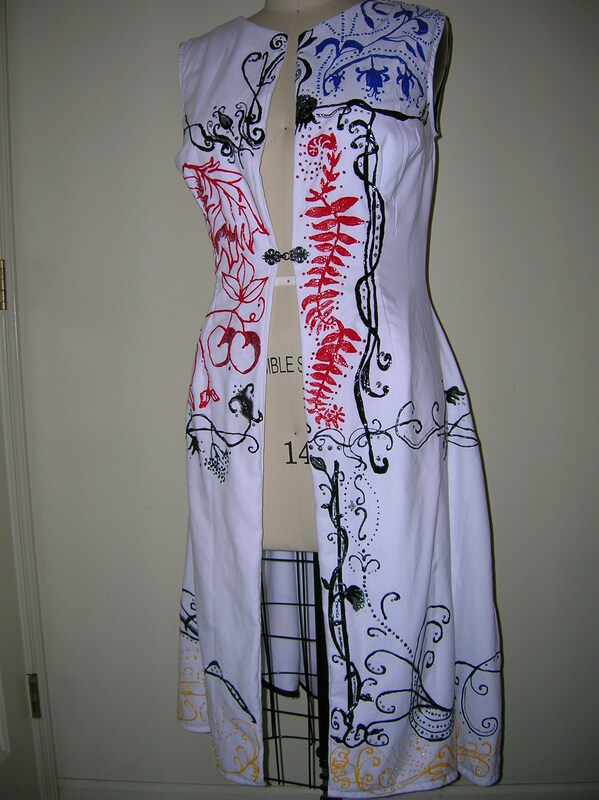 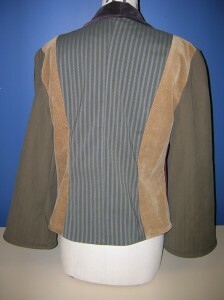 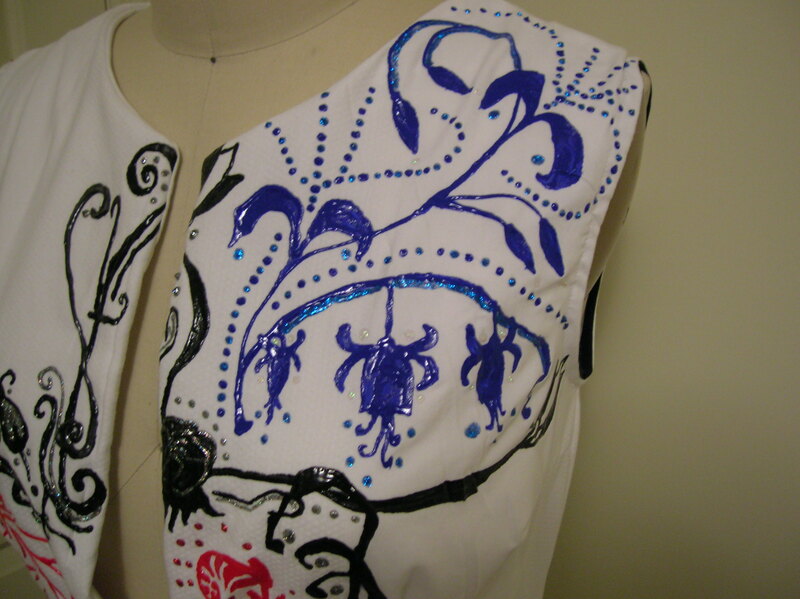 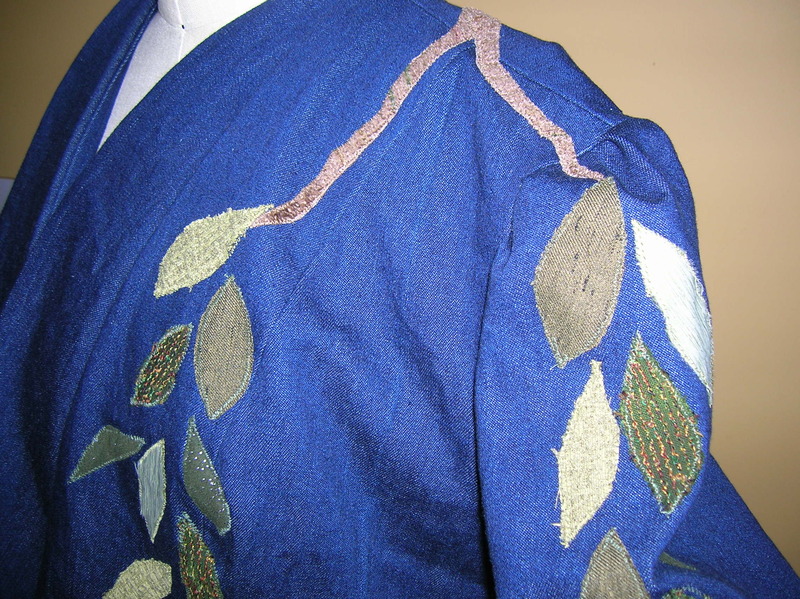 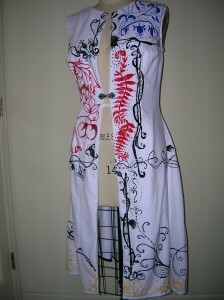 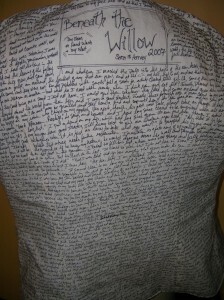 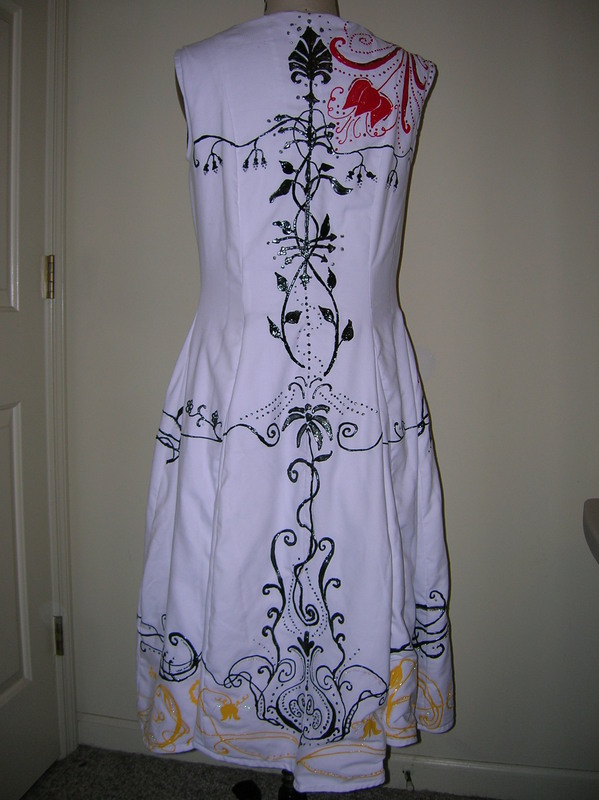 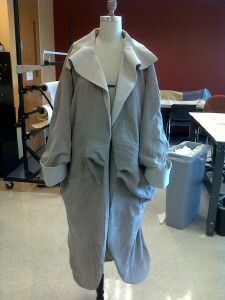 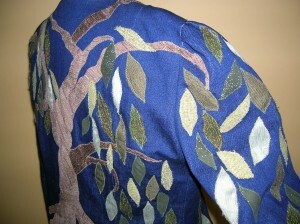 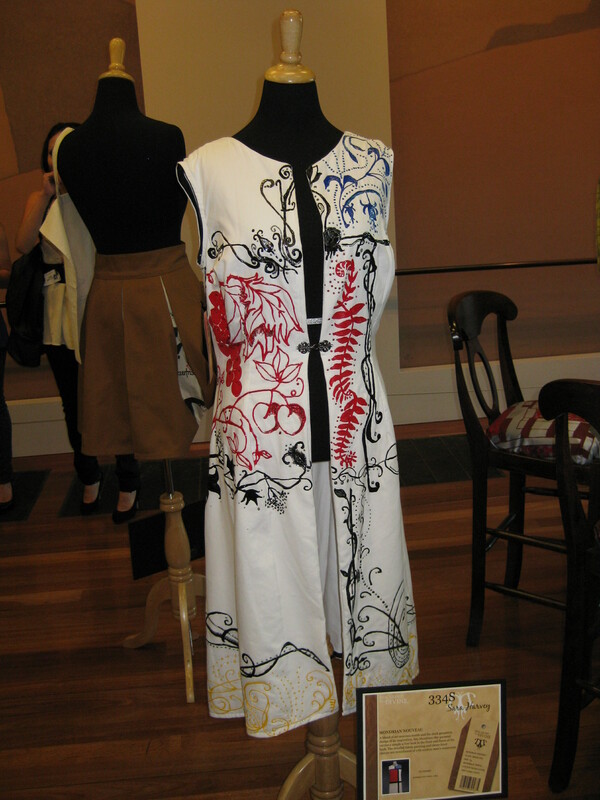 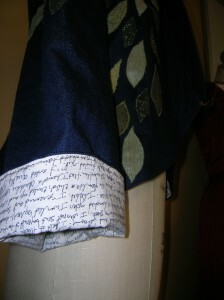 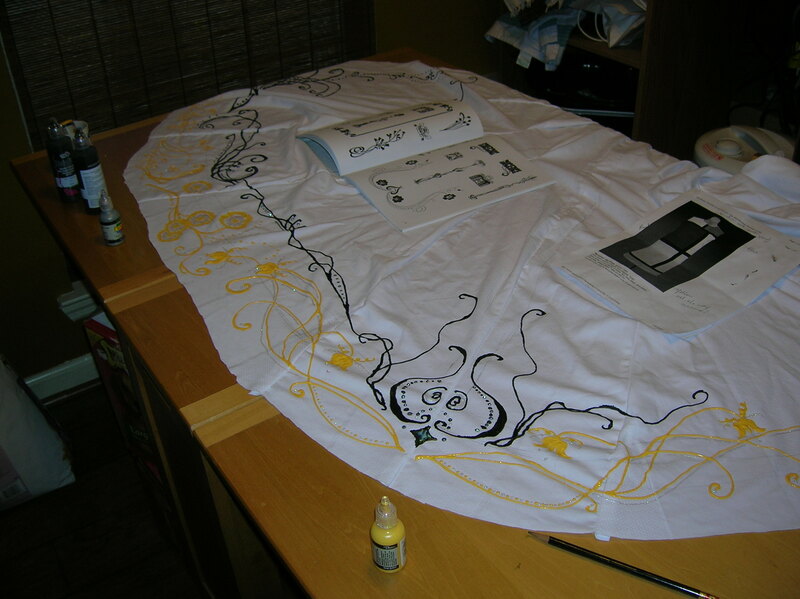 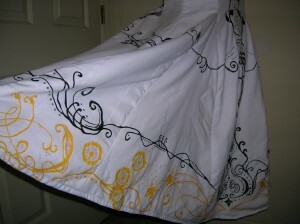 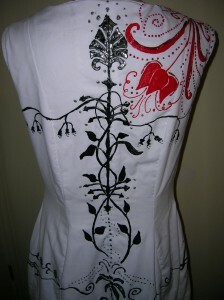 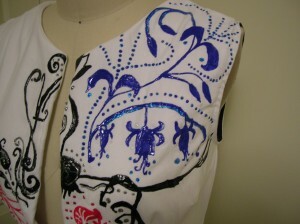 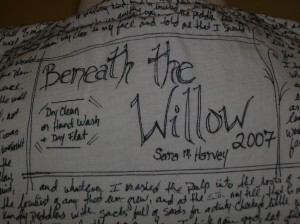 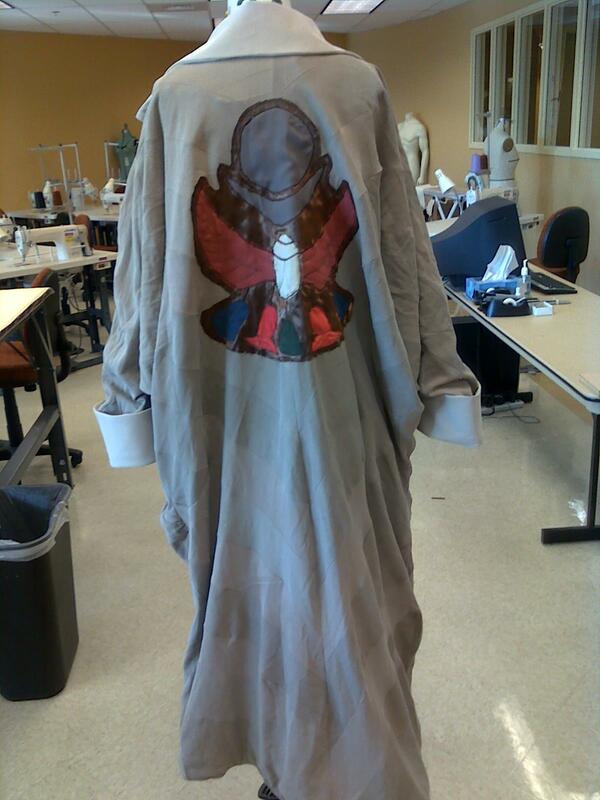 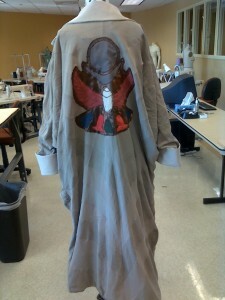 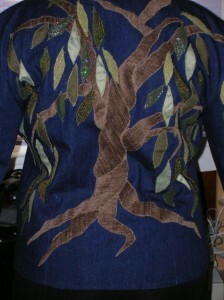 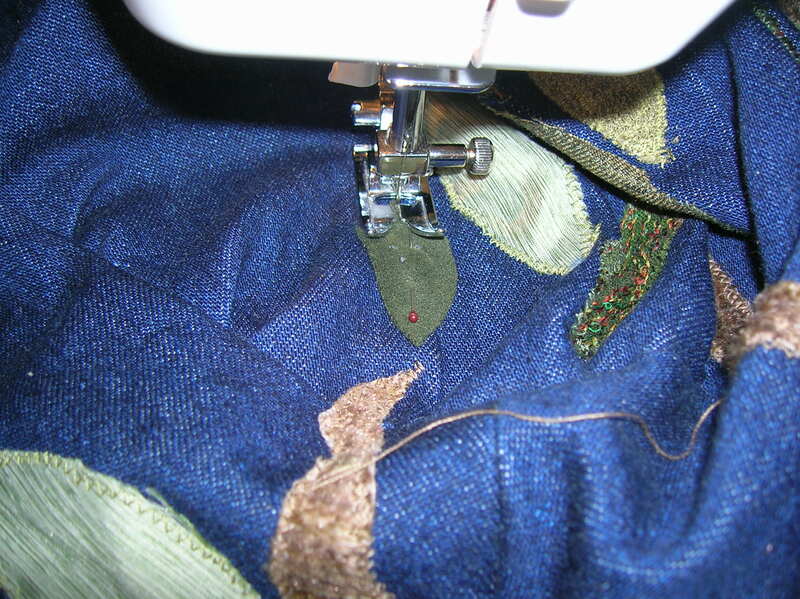 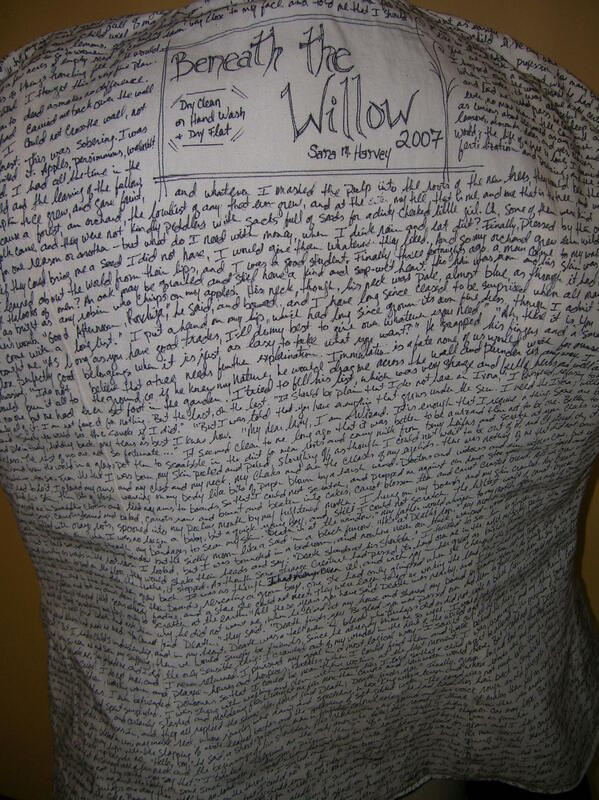 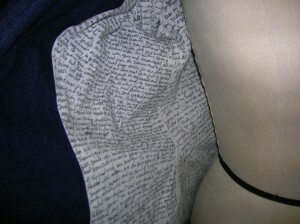 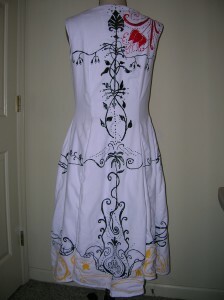 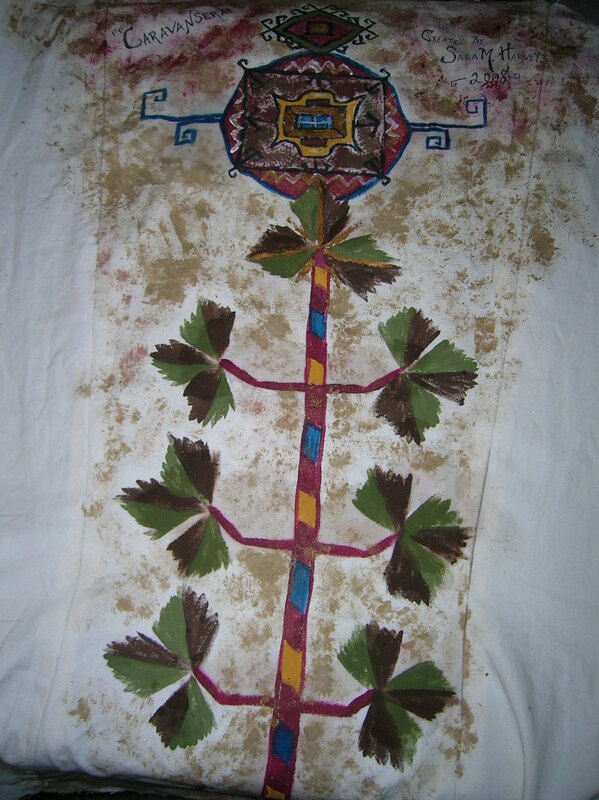 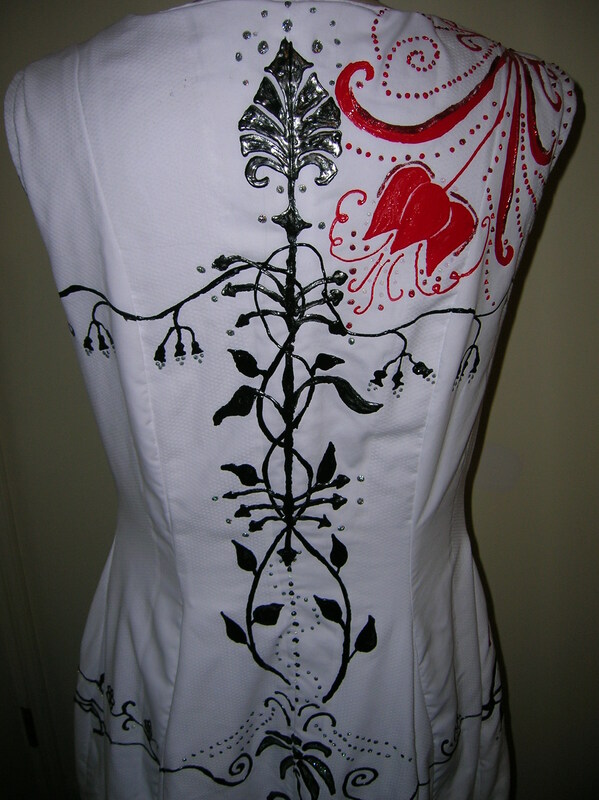 Called “Beneath the Willow,” it is one of my proudest accomplishments in clothing design. 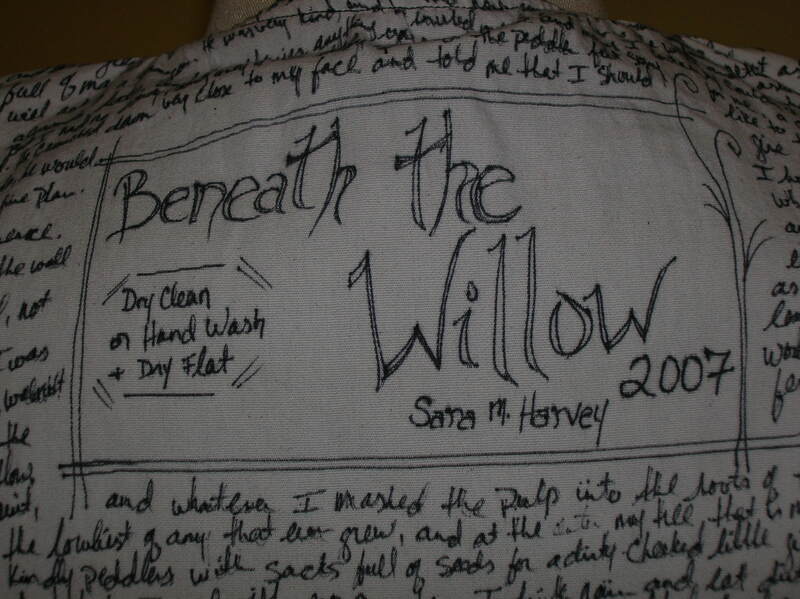 Yes, that’s writing on the interior. 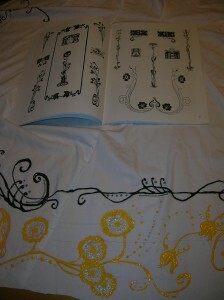 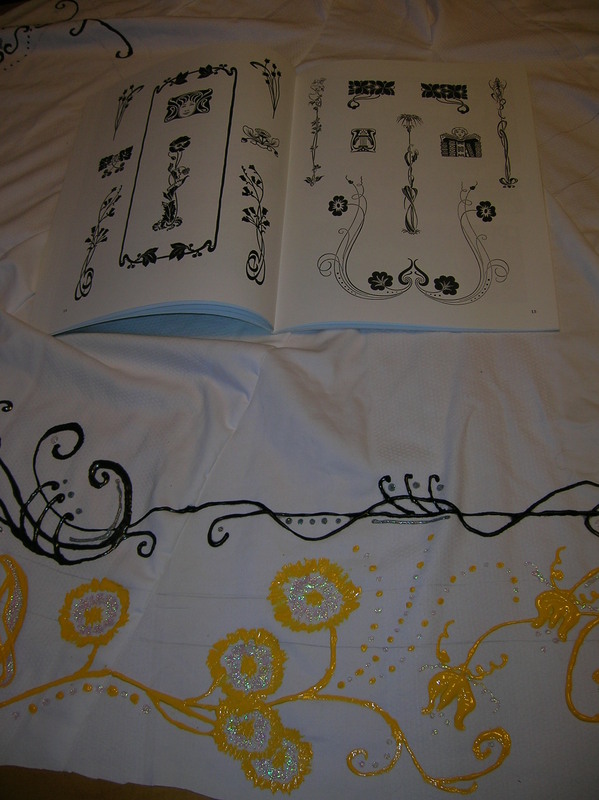 It is the section of the “story-within-the-story” of the first book, Orphan’s Tales: In the Night Garden.